A serious crash is under investigation in Clearwater on Tuesday morning. 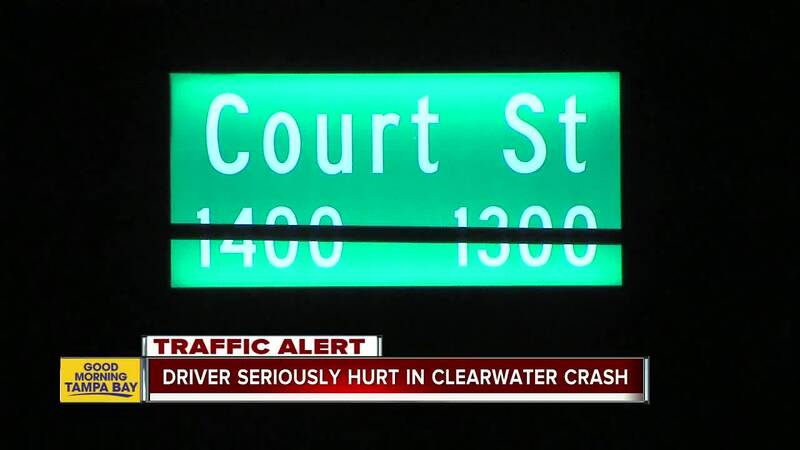 Clearwater Police and Clearwater Fire & Rescue were called to a single-vehicle crash with serious injuries at approximately 2:51 a.m. at Court Street and Hillcrest Avenue. A Toyota Camry, thought to be speeding, went out of control and hit a pole and flipped multiple times, according to police. The male driver, identified as William Fralin, 48, was taken to Bayfront Health St. Petersburg as a trauma alert with possible life-threatening injuries. Fralin remains in critical condition. The Camry was reportedly traveling westbound on Court Street when it left the road, struck a couple street signs and then collided with a large pole holding traffic signals. Speeding and alcohol are thought to be factors in the crash. Eastbound and westbound lanes of Court Street are open at Hillcrest Avenue. Damage estimates to city property are about $75,000.